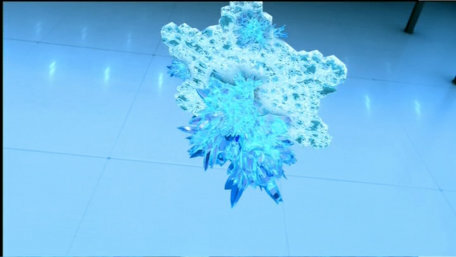 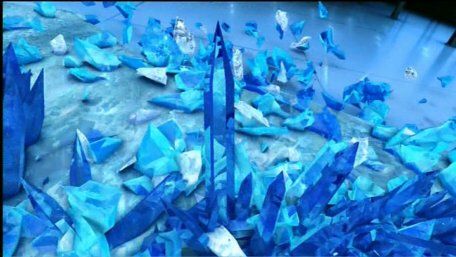 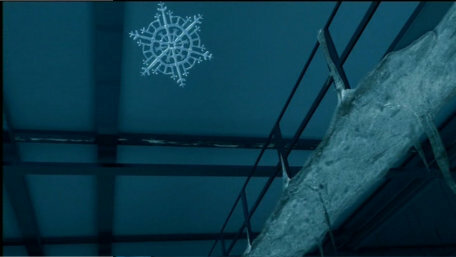 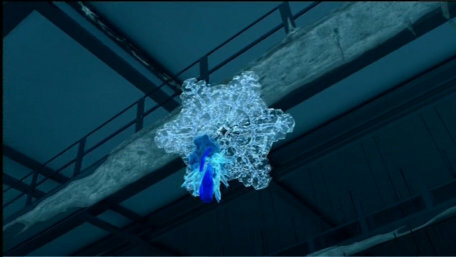 A snowflake falls, is overcome with ice-crystals and smashes to the ground. 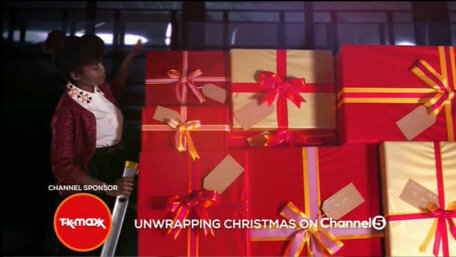 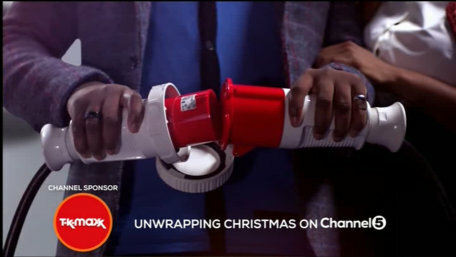 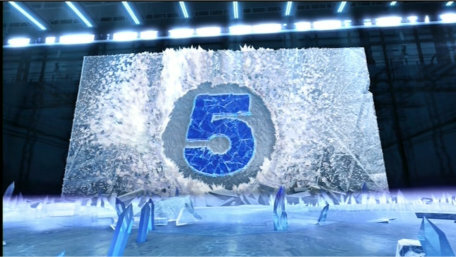 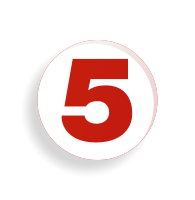 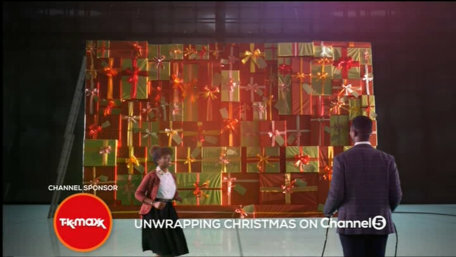 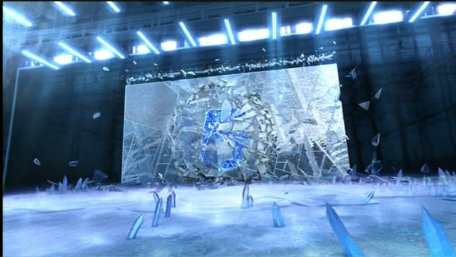 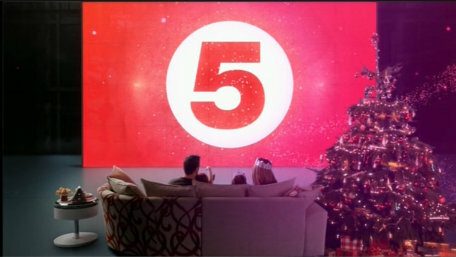 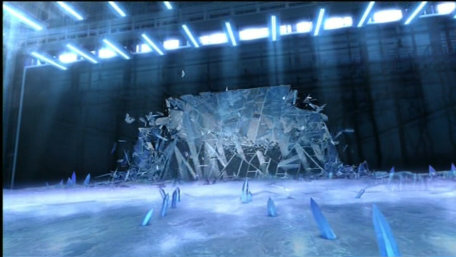 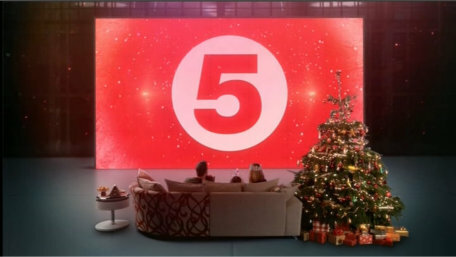 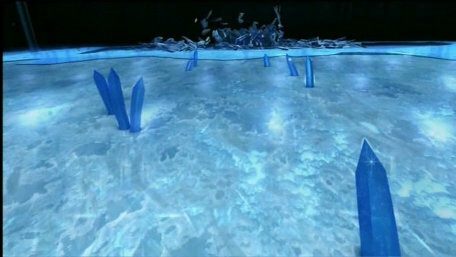 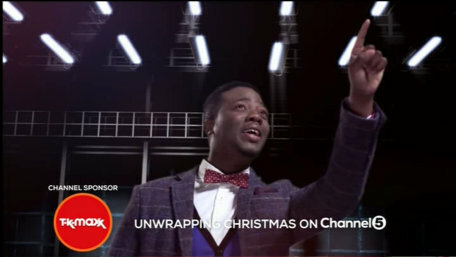 The ice spreads, forming the screen and the Channel 5 logo. 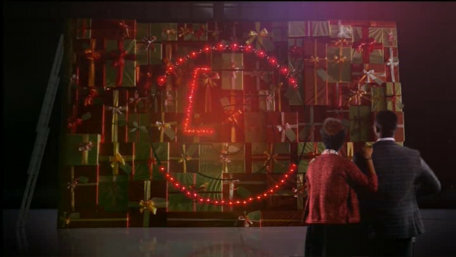 A couple build the screen out of Christmas Presents. 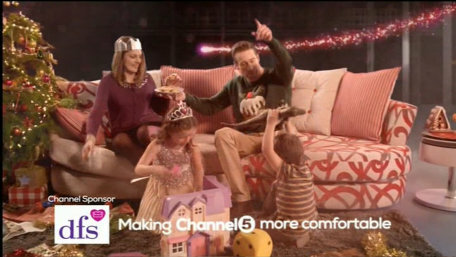 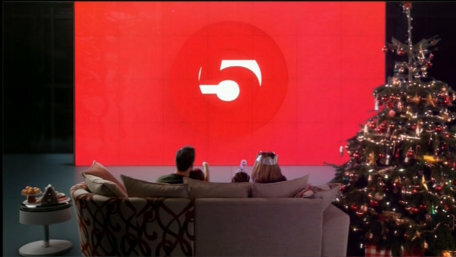 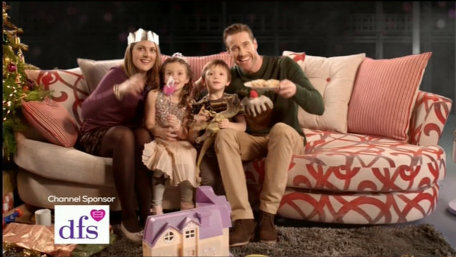 A family settle down on the sofa with some mince pies to watch Channel 5.